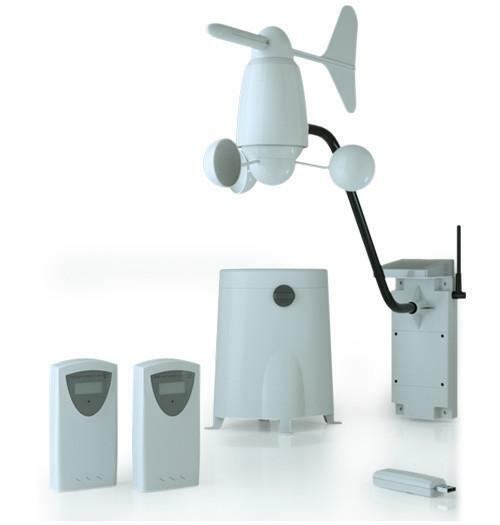 The ZEN22 by Zooz can be used as a regular switch as well as used in a 3 way configuration. Like any other switch the Zooz dimmer switch allows you to turn on,off or change brightness levels on loads attached to it. 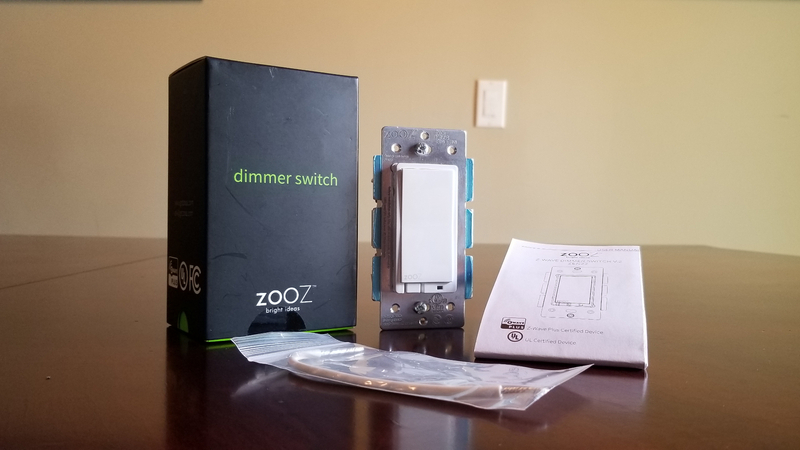 Pairing it with your favorite hub the Zooz dimmer switch uses Z-Wave Plus technology which allows you to control and monitor your lights via your smart phone or computer. 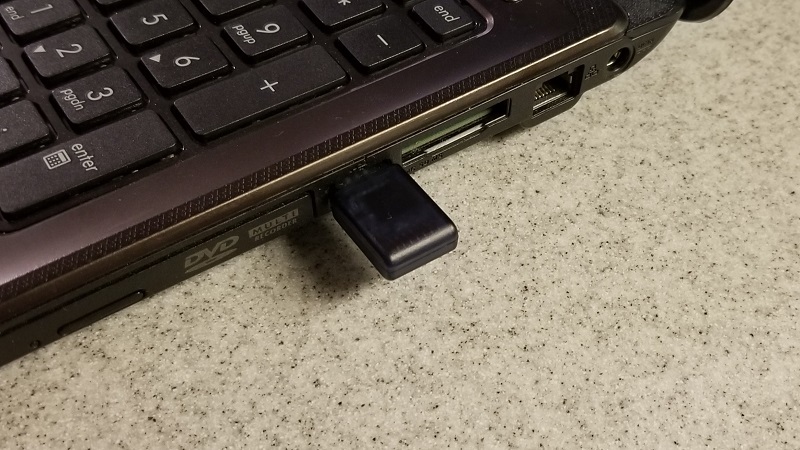 The convenience is unparalleled to just having a plain old switch. Just imagine brightening the lights to a dim hue in the hallway automatically when you get up to light your way in the middle of the night. Turning on lights as you open your front door so that you don’t come home to a dark house, or just dimming the lights to watch a romantic movie with the wife while never leaving the couch. This switch is equipped with the newer Z-Wave Plus 500 series chip that allows for lower power consumption while also being more reliable than its predecessors. The Zen22 also acts as a repeater strengthening your Z-Wave mesh network making it and every z-wave device around it more reliable. The Zooz ZEN22 is built well and feels like a solid product. The switch features a blue LED that lights up at night allowing you to easily locate the switch when it is dark. The paddle on the switch also has the Zooz logo printed on it in a light gray. 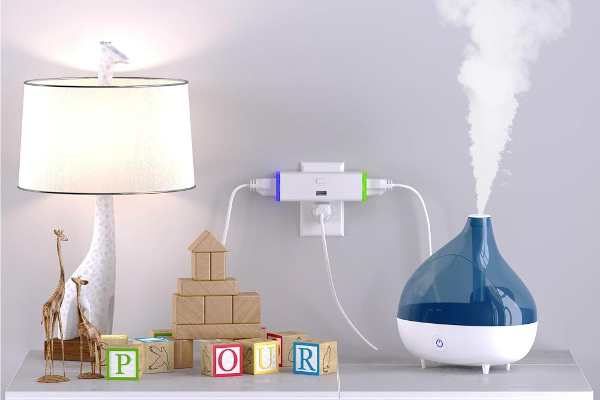 The inclusion of the device to our Vera hub was fairly straightforward but note that it will work with any smart home hub so long as it speaks Z-Wave. Once your hub is in inclusion mode, you tap the upper half of the paddle three times quickly and the new dimmer will appear on your hub shortly after. The Switch features an air-gap switch for added safety in the event that you need to remove power from the switch temporarily. This dimmer like most others, requires a neutral wire at the location of installation as this is used to keep the switch on while the load is off. If you do not have one , you will need to get a licensed electrician to install one. Your switch will require the Neutral, Load, Line and Ground when used in a regular installation, the traveler is introduced when used in a 3-way setup. The switch only comes with the installed color paddle in white so you wont be able to change the color if needed. 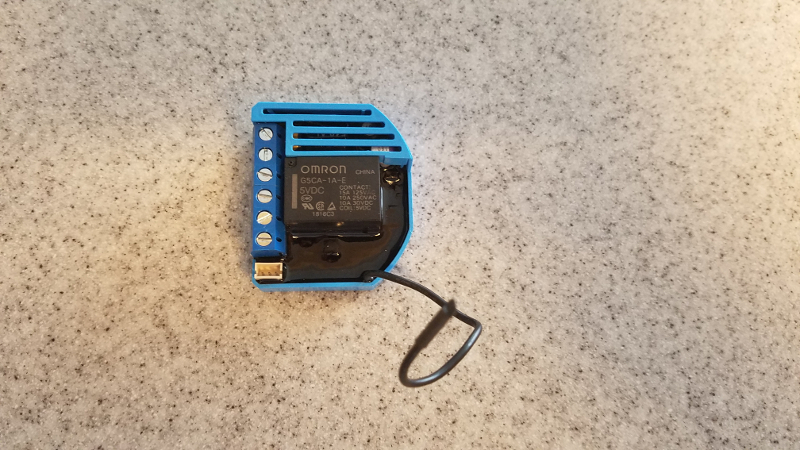 When comparing it to different brands like the popular GE Smart Dimmer for instance, this is a good buy as the cost is usually lower and it offers the same functionality. There is also another advantage to the Zooz switches over its competitors in that it does not require a Z-Wave enabled slave switch, and can be used with a regular toggle switch. This means that you get to save all that extra cash and use the existing switch. The one gotcha with this setup is that when you are using that toggle switch in a hallway for instance you will only be able to dim from the side that has the z-wave Zooz switch installed. Other manufacturers will have a slave switch that will allow the dimming feature but they wont be compatible with the Zooz. From the regular switch, you will only be able to turn the light on and off. When used in a 3-way configuration, the slave switch does not need to be a 3-way switch. You can use any regular switch you have lying around. The manual is written well and is very easy to understand. It features large diagrams that are labeled well. Zooz also offers alternate diagrams for different setups on their website http://www.getzooz.com. Please note that if you are not comfortable with electricity or have any questions about your wiring , you should consult an electrician as three way setups can be tricky to master. The switch works with LED, Compact fluorescent, and incandescent bulbs. If you are going to be using it with LED’s please note that Zooz states the device functions on loads of greater than 20 Watts which can be rather high for some LED bulbs. If your switch controls various LED bulbs in a hallway, this probably won’t be an issue but you may want to look into it. If the load is lower than 20 Watts it may work but will shorten the life of the switch. We were surprised by the quality and build of the switch and impressed by its performance. The switches retail for $32.95 at the moment of this writing which is cheaper than most switches in the market today. The fact that you no longer need an add on switch sweetens the deal a bit more. It is important to note however that you wont be able to dim from the end with a regular switch. We gave the GoControl Z-Wave dimmable LED Light Bulb a try with out Vera Edge controller and were pleasantly pleased with the results. The Light bulb easily pairs with the controller by simply putting the controller on discovery mode and turning on the lamp. 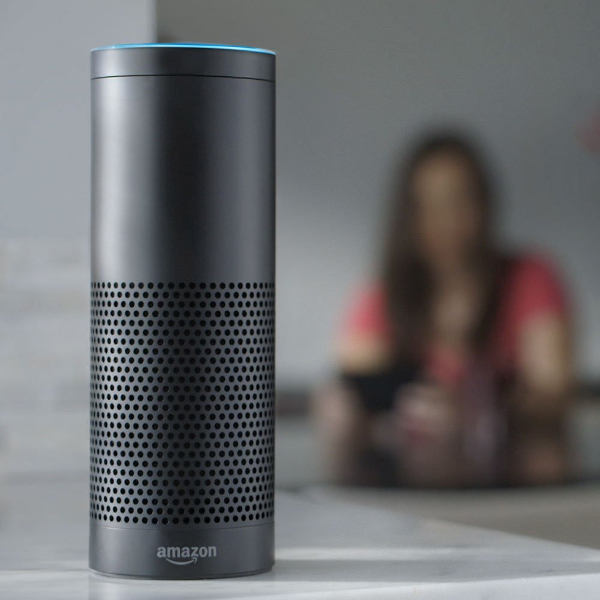 Upon initial power on, the device goes into discovery mode and once paired with the device, it flashes to let you know it is paired with your hub. The device is ready for use immediate after that. 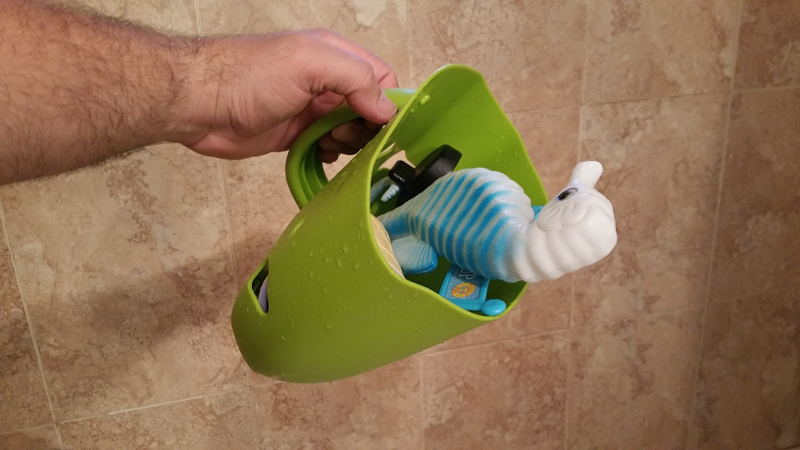 This is one of the easiest devices to pair we have come across. The 100% setting was definitely bright and can easily replace a 60 watt equivalent light bulb. The Go Control delivers a smooth 2700 kelvin rating soft white light that is easy on the eyes. Our initial application was to use this light bulb in a lamp for a children's bedrooms as a night light. Upon our initial installation we quickly noticed that this would not be a good application as a night light as its lowest level at 1% was still rather bright. Once we added the shade on the lamp, it helped out a tad bit but not enough to make us comfortable. That being said we also understand that a night light is not the purpose of this light bulb so we will not knock it for that, we just wish it would dim a tiny bit more. Overall the light bulb at its current price of 17.99 is more than ideal compared to its alternatives. The device should synch with any other z-wave controller such as the Smartthings hub, Zipato, Home seer, and Wink just to name a few. We tested the bulb for over a month and did have 3 instances where the bulb would turn on at full brightness over night which was deffinitley not desired specially as a night light. After replacing the bulb with another we have not had an issue. 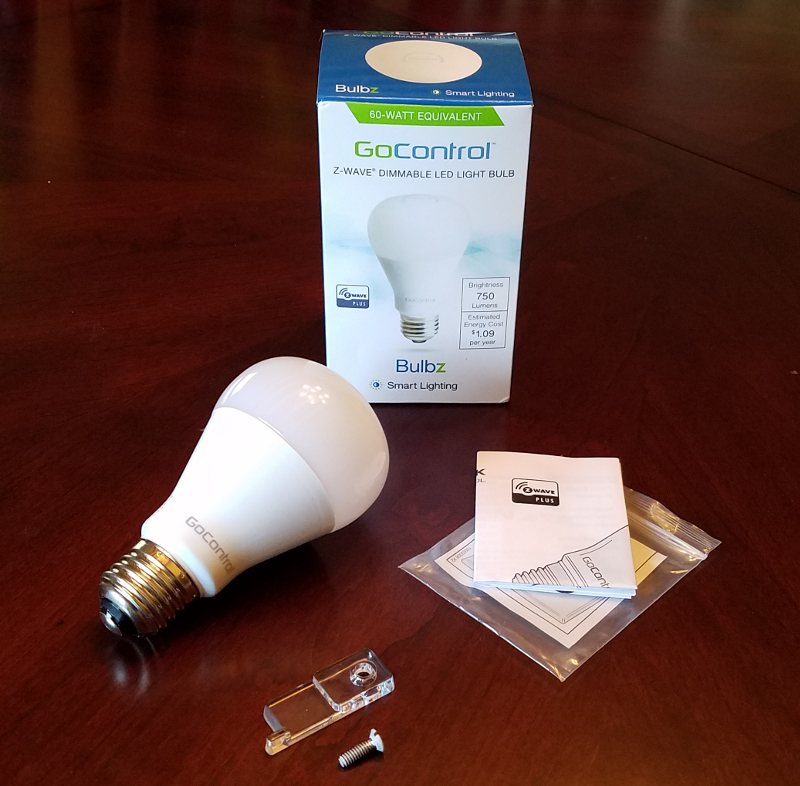 Overall if you are looking for a Z-Wave bulb you should deffinitley take a look at the GoControl Z-Wave Light Bulb as it is proced just right. 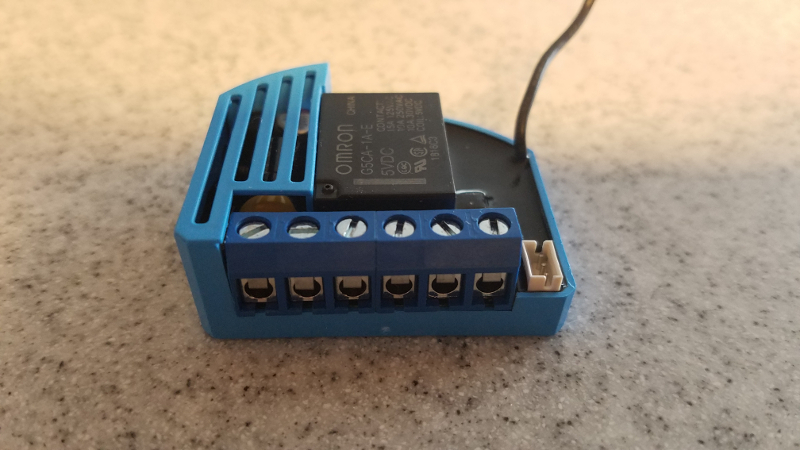 The Qubino Flush mount Relay module is a small device that fits inside a standard electrical outlet box and can be used to make a standard power outlet or switch, a smart device. At the time it is the world's smallest Flush Z-Wave Relay available which is rather important specially when you are dealing with limited space in your electrical boxes. The dimensions are 41.8 x 36.8 x 15.4 mm (WxHxD) or 1.65 x 1.45 x .6 inches and weighs only 28 g.
The nature of this device is that of a relay or an electrical device, typically incorporating an electromagnet, that is activated by a current or signal in one circuit to open or close another circuit. In layman's terms, it turns attached load devices on and off but cannot be used to dim devices. Qubino offers a dimming module that can do just that if it is the desired effect. 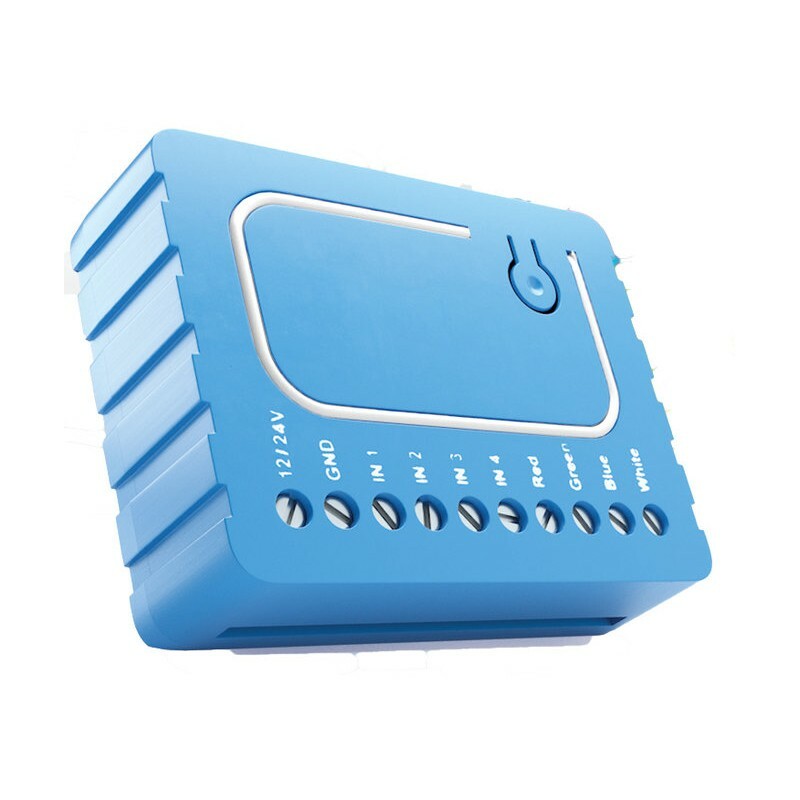 You can control it either remotely through the Z-Wave network hub application, or through wall switches. 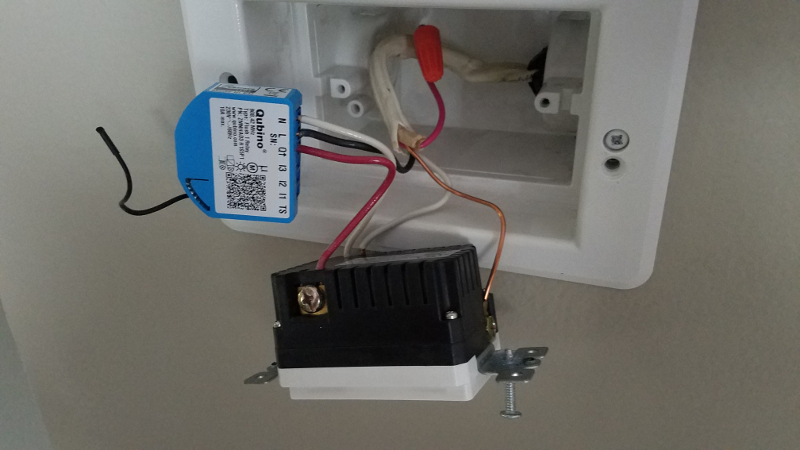 A bonus is that it also measures power consumption of whatever is attached to the load side of the relay which can help the homeowner understand the energy consumption of light bulbs, or of any device that is attached. 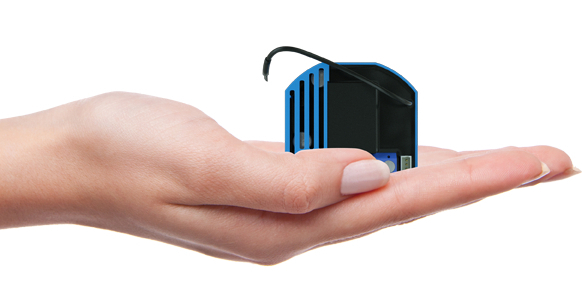 The Qubino relay also supports the connection of a digital temperature sensor that can be purchased separately. 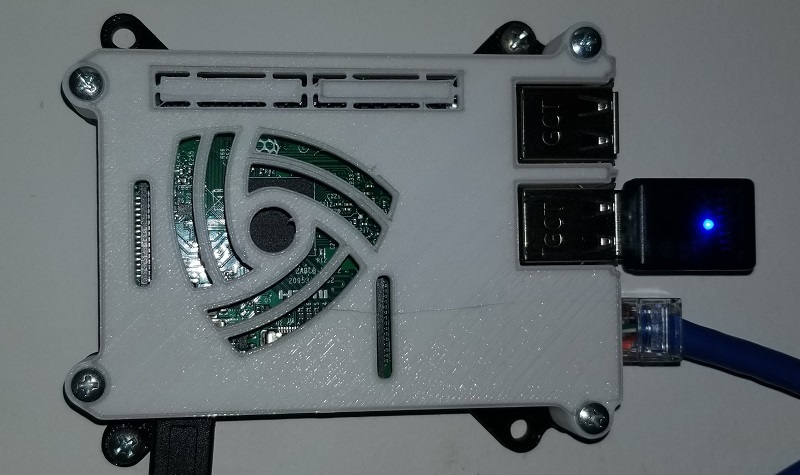 The relay module is inherently a repeater so it will enhance your current mesh and improve the range and stability of each device in your Z-Wave network. It's power consumption is just 0.4 W which is among the lower spectrum of z-wave devices. The device also has some additional parameters that can be used by professionals as seen below. More details on these can be found here but note that we did not use any of these for our test. 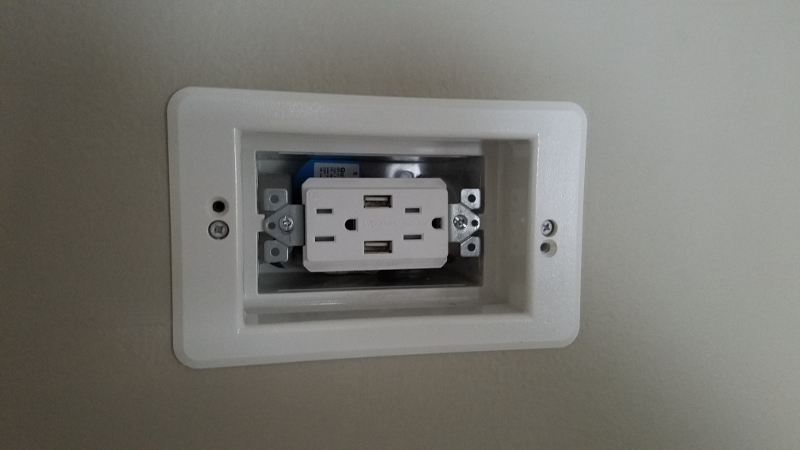 For our review we took on to installing the Qubino relay behind a recessed outlet that we can use to turn on and off an outlet at a specific time each day. 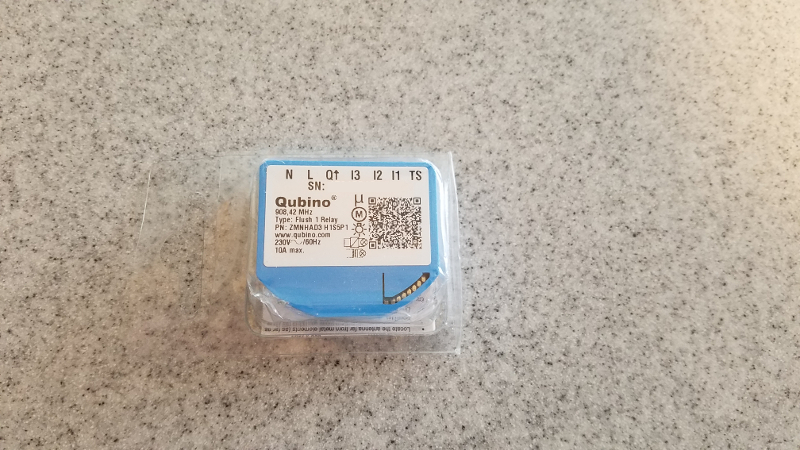 The Qubino Flush Relay came in simple packaging with just the unit and an instruction manual. 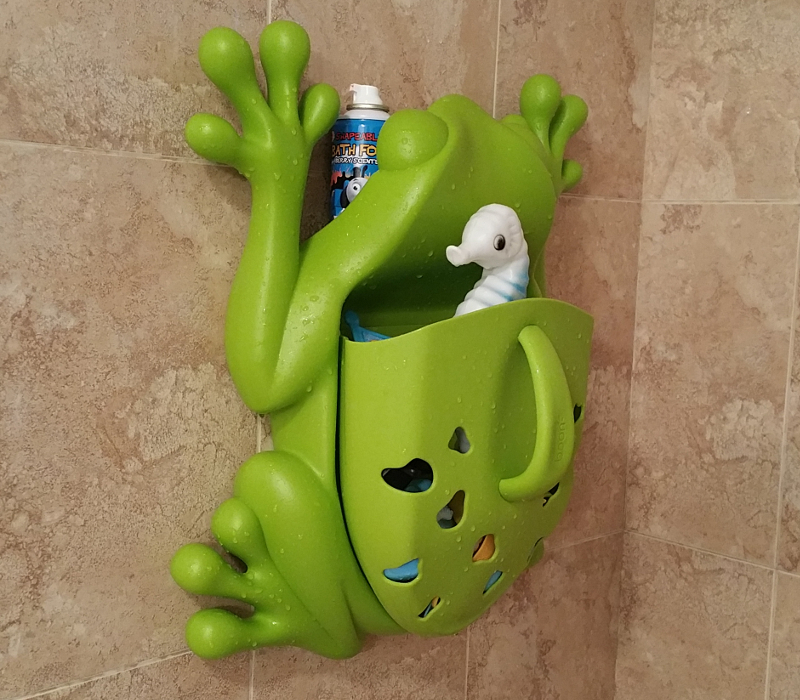 The unit is very well built and feels like a quality product when handled. The terminals while small feel sturdy and are easy to screw down using a small precision screw driver. 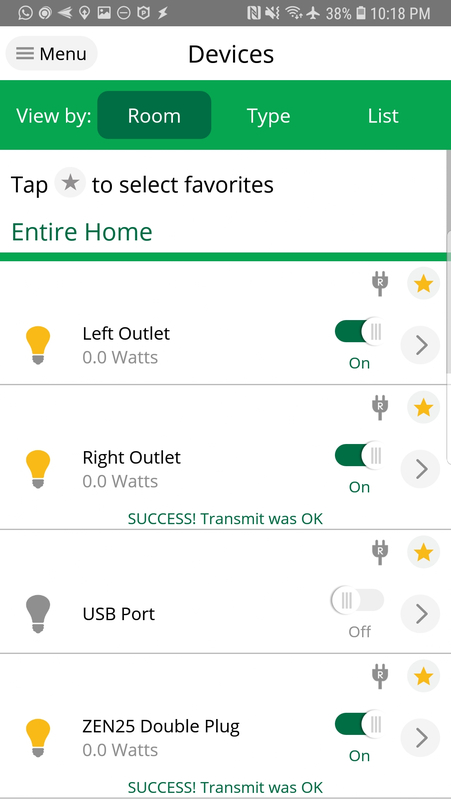 To turn our outlet on and off, we use a scene in our home automation hub while also allowing the same functionality from our smart homes graphical interface. 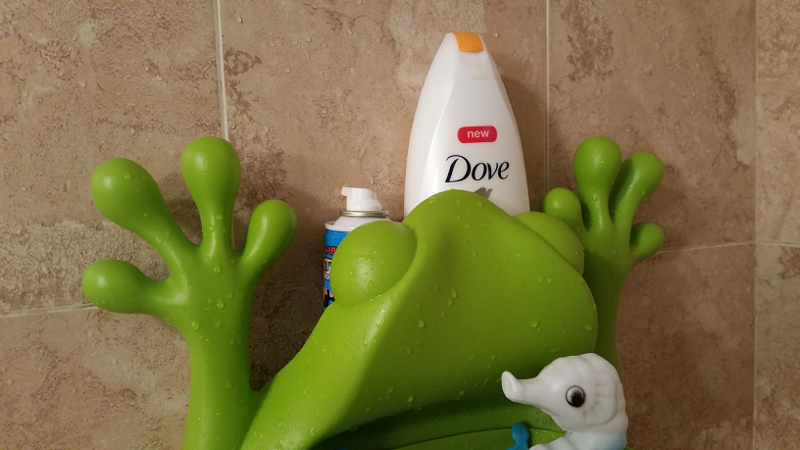 The installation was fairly simple and took just a few minutes. We first turned off the breaker to the outlet and from there went on to exposing the wires by removing the existing outlet. After doing this we identified the load (Ot), neutral (N) and line(L) wires. 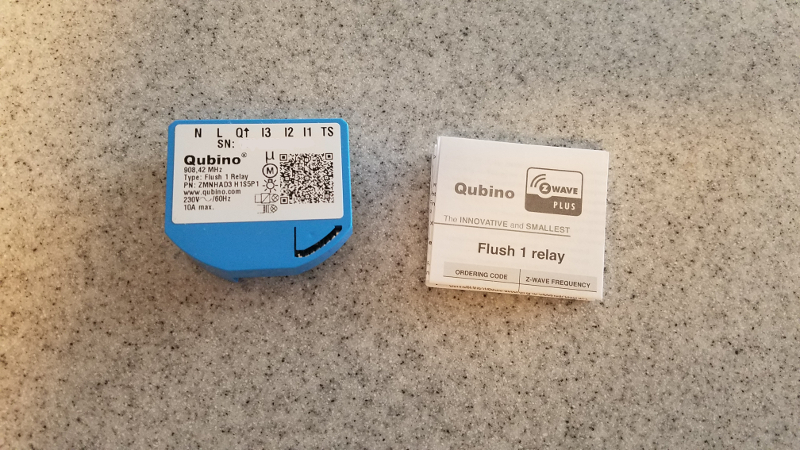 Our line and neutral wire was connected to the Qubino relay as identified in its labels on the first two slots. The screws were fairly easy to fasten but required a precision Philips screwdriver to make sure not to damage the head on the screw. The load wire was connected from the third slot and reattached to the outlet. once everything was connected, everything was put back in its place. 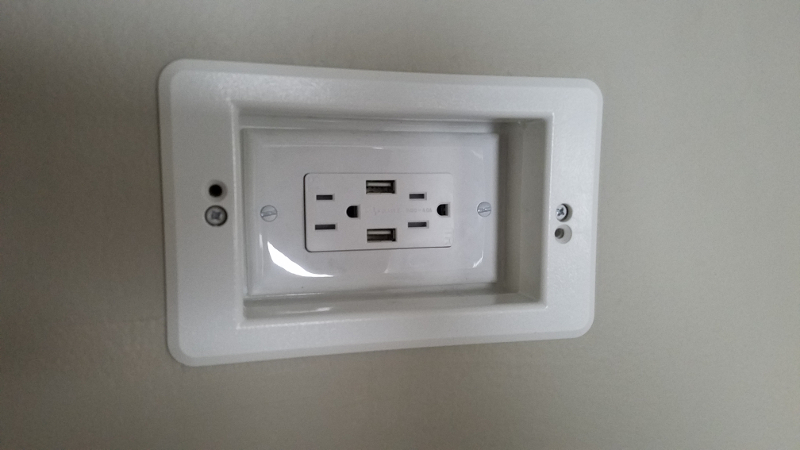 Here you see the qubino flush relay mounted behind our outlet ready for a faceplate. As can be seen the installation is clean and the unit does not occupy much room in the electrical box. When first turned on the Qubino Flush Relay Module enables the inclusion mode for 5 seconds, in order to take advantage of the feature we started the inclusion mode on our Vera hub just prior to flipping the breaker. The Qubino was found and configured within 15 seconds. It was probably one of the quickest inclusions we have ever performed on our Vera Home Automation Hub. The device worked flawlessly and allowed for remote control of the outlet as expected. We simply love this little device mostly due to its size and functionality. The unit retails for 49.95 at various outlets like the The Smartest House or Amazon. Chances are you are looking for some genius idea to get your bikes organized in your garage that won't break the bank. 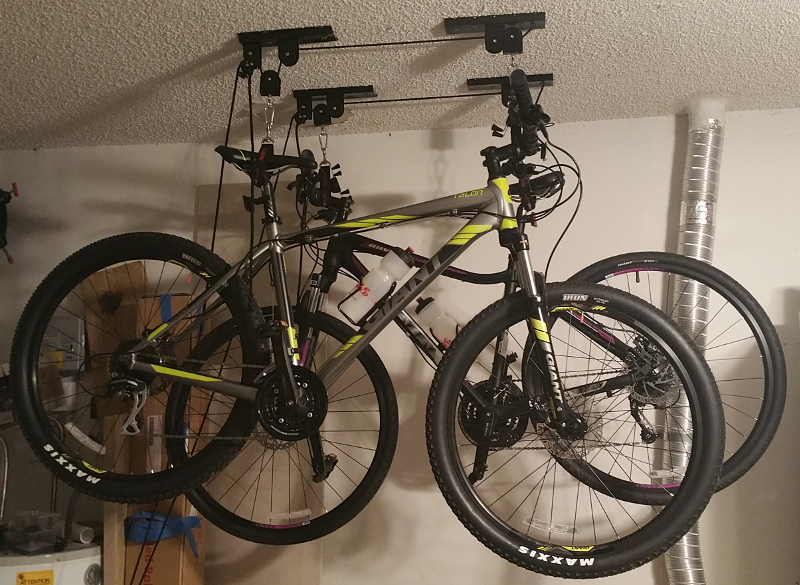 We too were on this challenging task and recently came across the RAD Garage Storage Heavy Duty Bike Hoist Lift. We were pleased with the product and would recommend it. The RAD bicycle mount is going for about $14.00 on Amazon at the moment. 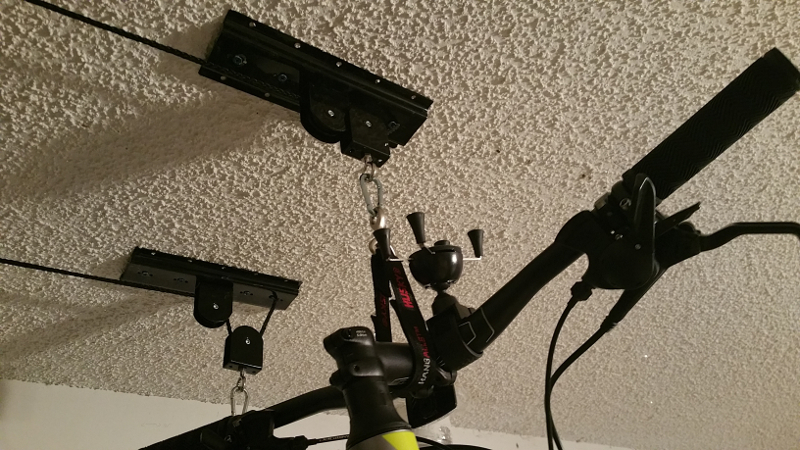 Upon installation, the hoist delivered its promise of being able to hoist the bike with no issue. That being said, we made some minor modifications to allow us to use it in a more comfortable fashion. First off, the installation manual is not the most friendly, it is one double sided sheet with a few images but not very clear instructions. Basically it tells you to attach to a hoist in your ceiling but doesn't really tell you how to find them. We would recommend a stud finder which would add to the cost but if you have one then you are golden. The screws that come with the hoist are absolute garbage as they strip too easily. We wouldnâ€™t use them to hold our bicycles and ended up using tapcon screws because we had a box of them laying around. The actual pulley system is pretty good considering the price and honestly you can't build one yourself any cheaper if you tried. It is a solid piece of metal and has a decent construction. The locking system is very basic but functional if installed correctly. The rope that comes with the system is made of braided vinyl, it is plenty long so you shouldn't have any issues there no matter how tall your ceilings are. In a while when the rope starts to deteriorate we will replace it with a nice Paracord Rope. After installing the RAD hoist we started to lift up the first bike, and noticed that the hook that attaches to the rear seat was slipping off. We didn't feel too comfortable with it so we came up with this brilliant idea to use 18" Husky Hang-All Velcro Straps found at the Home Depot. 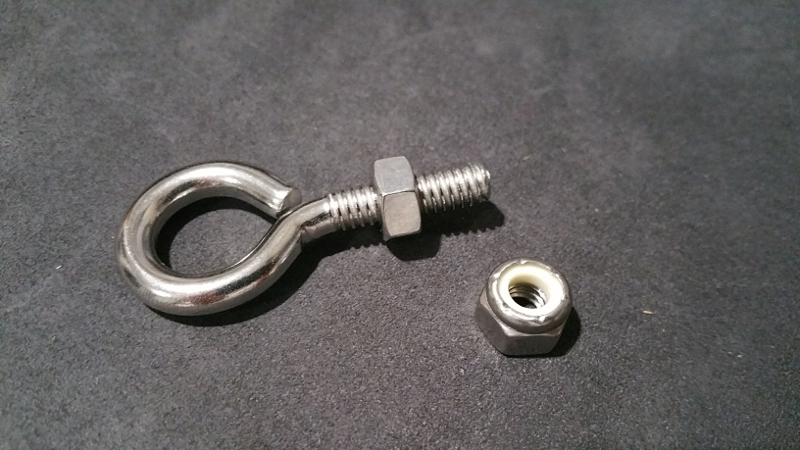 In order to complete our idea we removed the hooks from the RAD Hoist and replaced it with the 1/4" x 2" Stainless Eye Bolt and a nylon Nut to make it harder for it to come loose. 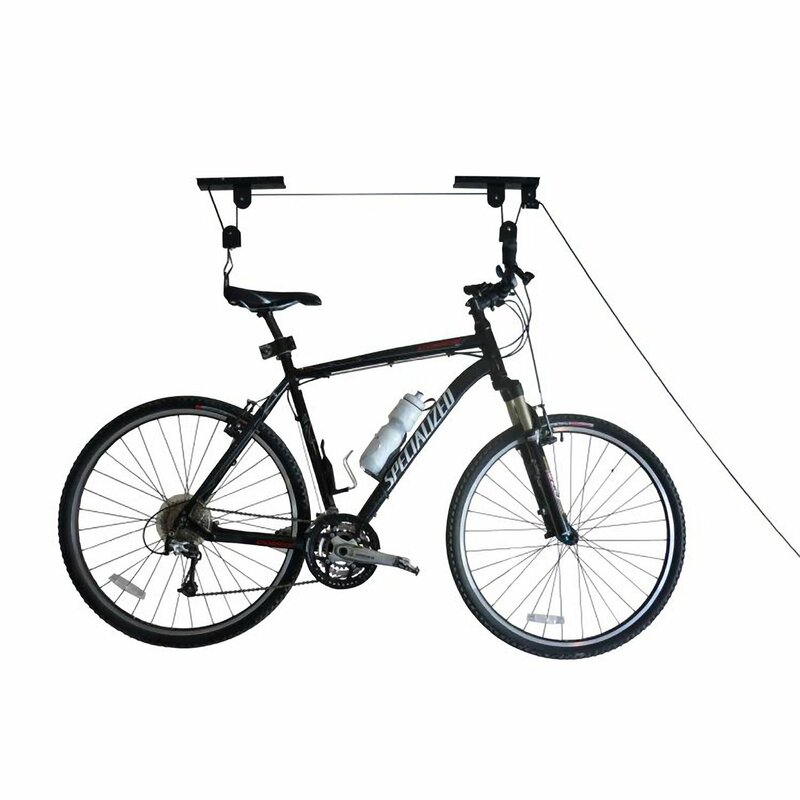 With these modifications, we feel this is the ultimate bike hoist and although its a little more expensive, it is worth the extra money. The modified hoist ended up costing about $25 dollars per bike. 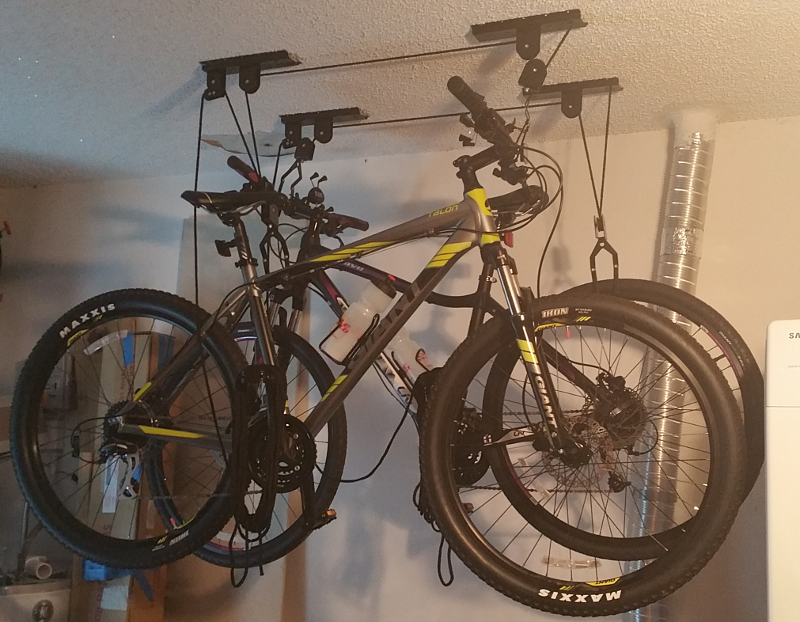 Here is the finished hoist with modifications and two hanging bikes. Note that these modifications are not necessary, and only provide for more convenience. 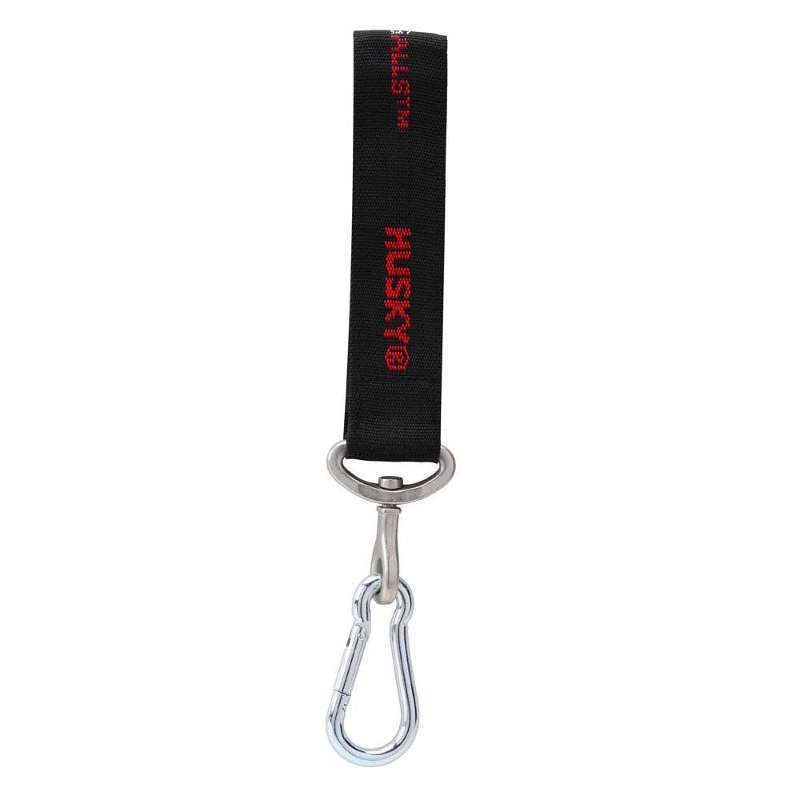 Below are some images of the modified hoist. 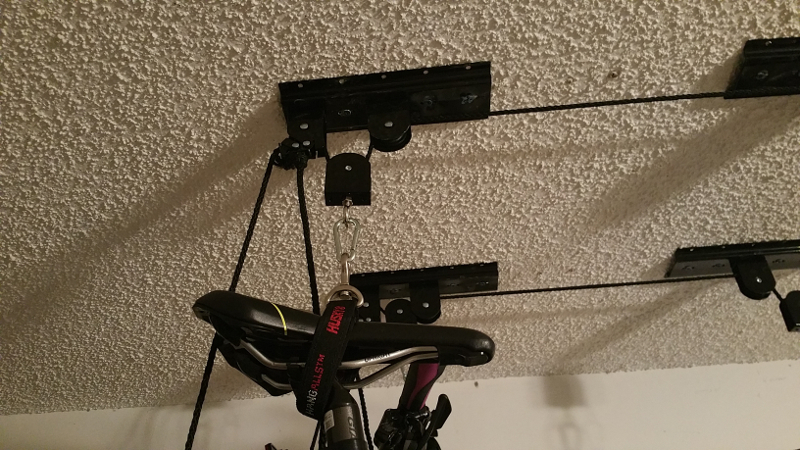 Get your own RAD Bicicle hoist on Amazon.